Ancient Medicine for a Modern World! Tao of Wellbeing Acupuncture Clinic, LLC is an Oriental medicine clinic dedicated to the physical, mental, and emotional health and well-being of our patients. 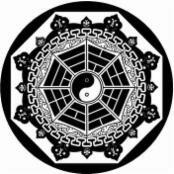 The Tao (pronounced dow), in Chinese philosophy, is the Way or process of nature. All things follow this way, which is naturally balanced and in harmony. Pain, sickness, and disease result when we become unbalanced and our harmony is disrupted. The Tao of Wellbeing is our way for helping patients return to a balanced state of health, as well as maintaining an harmonious state of well-being. Tao of Wellbeing Acupuncture Clinic, LLC is owned and managed by Dr. John Orsborn, A.P., D.O.M., National Board Certified Acupuncture Physician and Doctor of Oriental Medicine (Diplomate of Acupuncture, NCCAOM). John earned his Master of Oriental Medicine and Bachelor of Professional Health Sciences degress from East West College of Natural Medicine in Sarasota, Florida, and a Bachelor of Arts degree (Chinese Philosophy) from Wright State University in Dayton, Ohio.